If you are like most gardeners you are constantly moving plants. 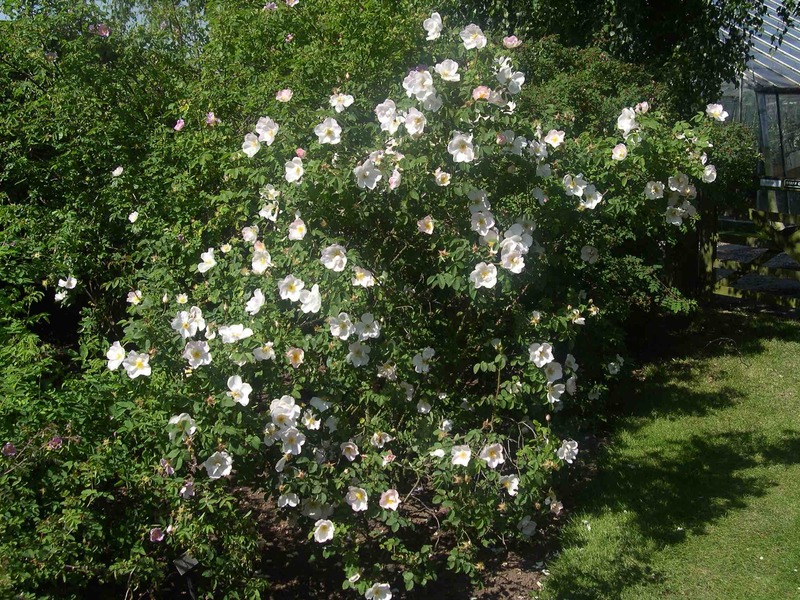 With smaller plants it’s fairly easy, but what about moving roses? Can it be done? The answer is yes you can. And while it’s best to move a rose during the dormant season (like winter) sometimes you have to move the rose while it’s actively growing. But don’t worry. It’s not as hard as it sounds. We’ve moved lots of roses during all different times of the year with great success. Along the way we’ve figured out a few tricks and we share those with you in the video below. Start by watering heavily for at the least 3-4 days before you move the rose. Cut out dead wood, twiggy growth and cut the rose back to a few feet high. Using a pointed shovel cut a circle about two feet across around the rose. In other words cut 1′ from the center of the rose. (If this sounds confusing the video shows you what we mean). Use two shovels to sandwich the root-ball and pry it out of the ground. Pick the rose up by the shovels using the blades to support the root-ball. Carry the rose to the hole you have already dug. Using the shovel blades slip the rose into the hole. Back-fill before you take the shovels out so the root ball doesn’t fall apart. Gently slip the shovels out of the ground. Continue to pack in soil and amendment just like planting a plant. Expect some leaf drop and drooping. That’s normal. If you fertilize use time release organics. Lastly water, water, water to get the rose re-established.